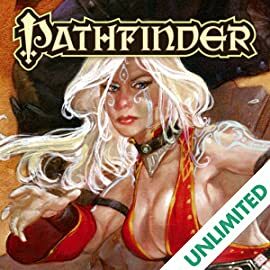 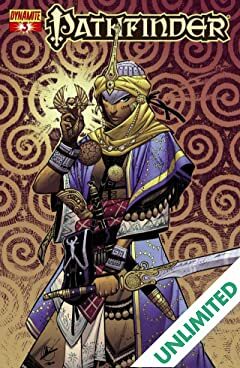 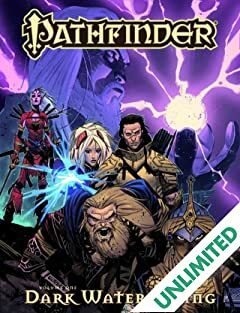 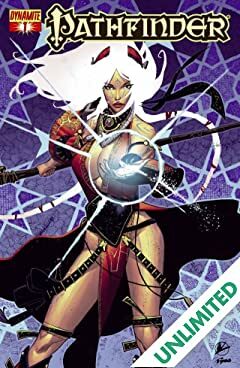 Paizo's incredible award-winning, best-selling fantasy world, fiction line and tabletop RPG is now the ultimate fantasy comic from Dynamite Entertainment! 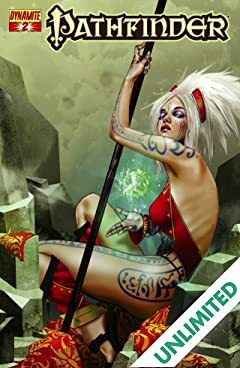 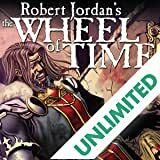 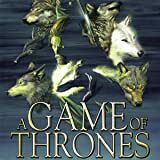 Valeros can rely on only his sword arm and his friends, the mysterious and beautiful sorcerer Seoni and silver tongued quick-witted elven rogue Merisiel, but nothing can prepare him for the dangers that lurk ahead. 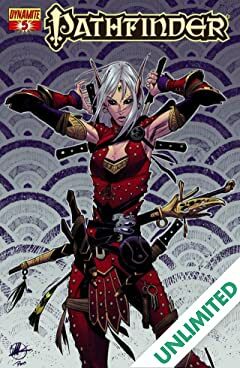 The scattered and chaotic goblin tribes of Varisia are changing, growing in power and unifying in ways no one has ever seen before. 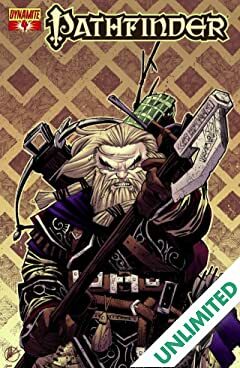 At the heart of this strange evolution is an ancient evil looking to establish itself anew. 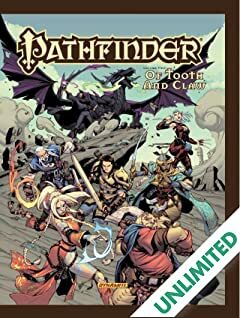 The Pathfinder heroes head to the city of Magnimar, and danger isn't far behind. 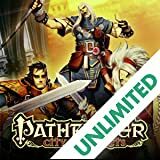 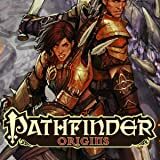 As the wizard Ezren seeks an audience with the Pathfinder Society, his adventuring allies explore the city's ancient magic, well-hidden secrets, and deep political divides. 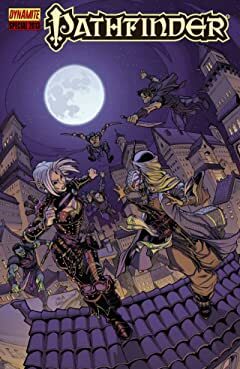 The dangers and opportunities of the big city could bring the adventurers closer together--or tear them apart!